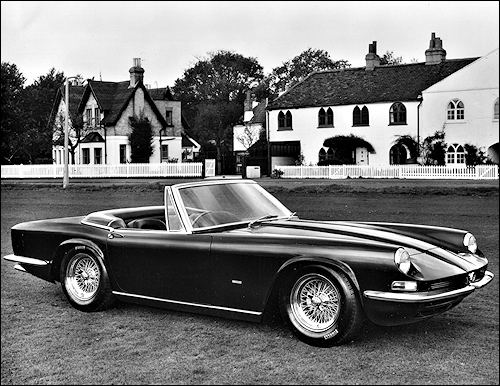 The AC, founded around 1900, is arguably the oldest among the small sports car manufacturers so typical for England. After the war it had lost importance until it awoke to the collaboration with the American Carrol Shelby. 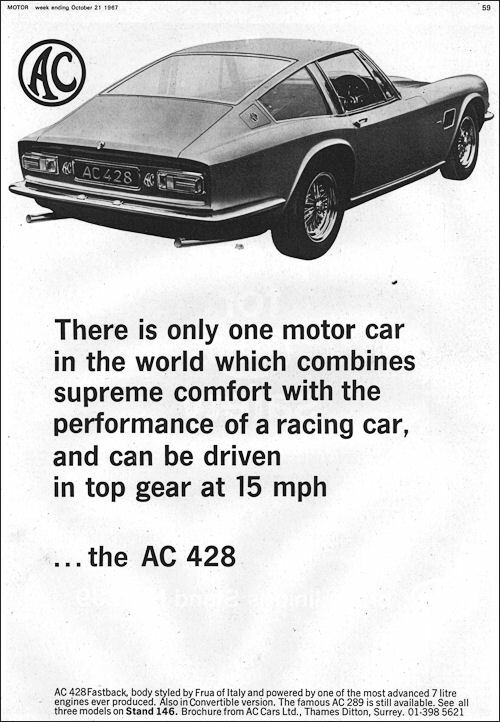 Currently they offer the AC 289 Sports with 4.7-litre engine and sports Convertible and Coupé designed by Frua powered by a 7-litre Ford unit. Brute for tough men but just in elegant disguise.